Welcome back. Susie’s back, too. 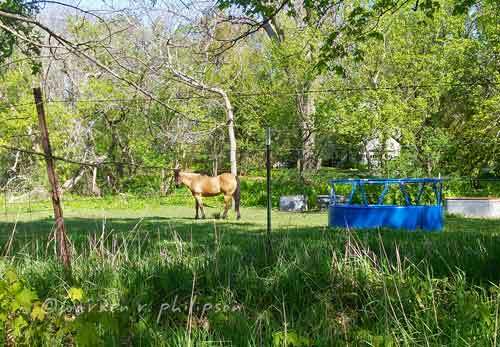 She spent winter with the cattle in the field and open barn across the street. Apparently, she and I are no longer on speaking terms; she hasn’t called me to the fence. But then I haven’t called her either. I’m not a horse person, which I probably mentioned in at least one of my three prior blog posts on horses--China Rodeo Photo Addendum, which featured photos from the rodeo the Uyghurs put on for our UN team in Northwest China; Horse Facial Expressions, about the Equine Facial Action Coding System; and A Horse’s Tail, my analysis of why Misty, the horse that once shared the field with Susie, swished her tail 360 degrees instead of back-and-forth. 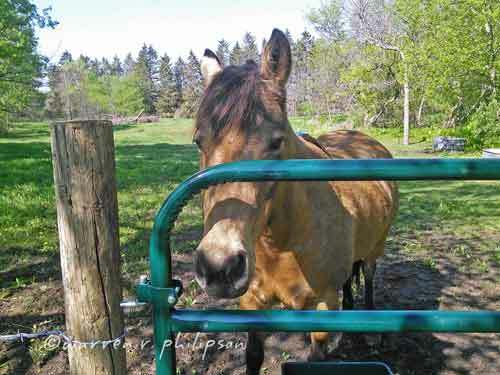 I noticed Susie was back around the time I came across a new horse study by investigators from the U.K.’s Sussex and Portsmouth universities. In their 2016 study, those researchers provided the first evidence that horses could discriminate between happy and angry human facial expressions. In their more recent work, they demonstrated that horses can remember those human facial expressions. The earlier study set the stage for the more recent work since both began by presenting photographs of happy and angry faces to the horses. In the 2016 experiment, the investigators presented 28 horses an A3-size color photograph (16.5 in x 11.7 in) of either of two male faces with either a happy or angry expression. 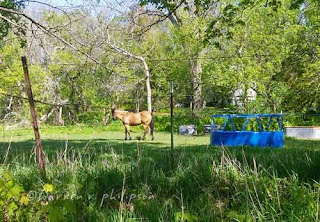 To avoid inadvertently influencing the horses, one experimenter held, while crouching behind, the photograph, and a second experimenter faced away from the photograph, while holding the horse on a loose rope. Happy and angry face photographs used in 2016 study, and diagram of test setup, showing one experimenter (E1) holding the horse, another experimenter (E2) presenting the photograph, and triangles representing cameras (from rsbl.royalsocietypublishing.org/content/12/2/20150907). Through different trials, each horse saw both the happy and angry facial expressions of one of the two males. During the trials, the horse’s heart rate was monitored, and video was recorded for analysis of behavioral responses--how long the horse looked, the approach and avoidance duration, stress-related occurrences such as scratching and floor sniffing. The behavioral and physiological results indicated the horses recognized and responded to facial expressions of anger. The horses favored their left eye when viewing angry faces, demonstrating right-brain hemispheric bias. This was expected based on previous literature and observations with dogs. In addition, the left-gaze preference was positively correlated with avoidance duration, increased heart rate and a tendency toward more stress-related behaviors. The horses did not favor their right eye when viewing happy faces. The lack of a right-gaze preference has also been observed with dogs and may simply be because positive stimuli are less important than threats or other negative stimuli. Extending their earlier work for the more recent study, the researchers presented each horse a photograph of either of two human participants with either a happy or angry face. 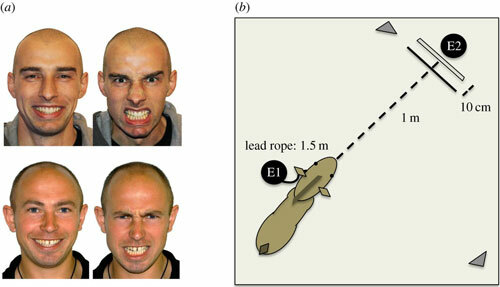 Experimental setup used in 2018 study, showing presentation of a happy or angry face photograph of either of two participants to a horse, followed later by a neutral-face participant (from www.cell.com/current-biology/fulltext/S0960-9822(18)30364-6). The horses remembered the participants’ expression from the photograph and responded as they would to angry or happy faces, rather than to the visiting participants’ neutral expression. Many animals have the ability to recognize human faces. That includes other primates, dogs and some animals you might expect, like crows (Crow Brainpower), but it also includes animals you wouldn’t expect, like tropical fish. Dogs can not only recognize human faces, they can recognize facial expressions as illustrated in an earlier blog post (Animals and Touchscreens Addendum). Other primates also have that ability. What stands out in the new study is that horses formed an opinion about people based solely on facial expressions in a photograph. I think it’s time I had a talk with Susie. Susie and I get reacquainted.